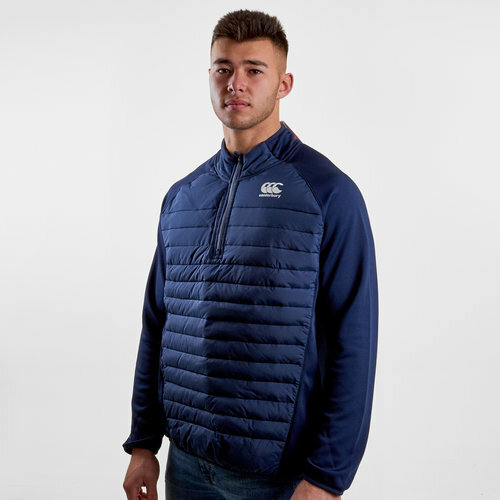 Don't let the weather stop you from doing your thing when you wear this Canterbury Vaposhield Hybrid 1/4 Zip Rugby Training Top in Marl and Navy. 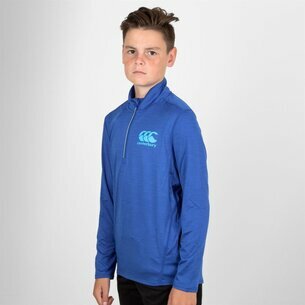 This Vaposhield training top from Canterbury combines warmth with their Vaposhield water repellency technology. 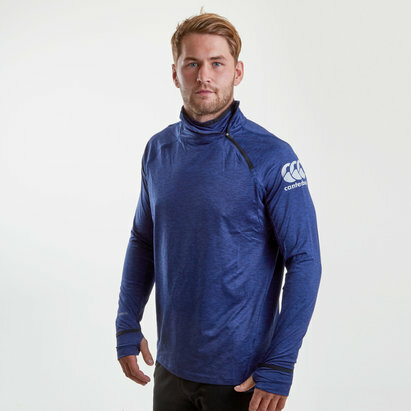 The zoned core insulation provides ultimate lightweight warmth whilst the Vaposhiled Technology repels water away from the surface of the fabric. 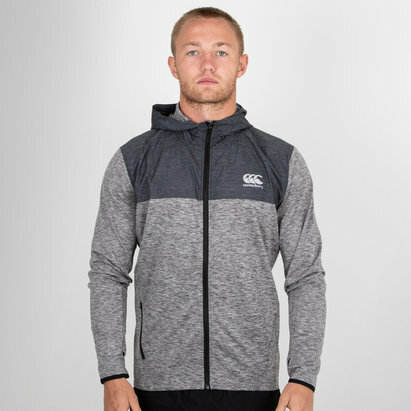 Concealed chest pocket keeps your valuables secure.